Maple has excelled in digital marketing since 2009. 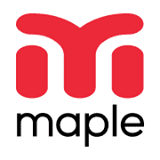 Maple is an international media company specializing in exceptional digital advertising. Using advanced self-developed technologies, we offer out front solutions in two arenas: Performance-Based Marketing and Effective Online Presence.